Y. Gene Liao, Allen M. Quail, Jr.
Division of Engineering Technology, Wayne State University, Detroit, Michigan 48202, USA. This paper presents the traction motor sizing for optimal urban fuel economy in two mild and three strong hybridization propulsion on front-wheel-drive vehicles. The traction motor sizes, by means of motor rated torque and speed, are optimized for maximum urban fuel economy. The two mild hybrids are Belt-Integrated-Starter-Generator (BISG) and Crankshaft-Integrated-Starter-Generator (C-ISG) systems. The three strong hybrid configurations include a strong C-ISG system where motor is placed between a starting clutch and the transmission, one-mode Electric Variable Transmission (EVT), and two-mode EVT. Using the simulated vehicle performance data as constraints and the motor rated torque and speed as the design variables, the objective function is to maximize the urban fuel economy. 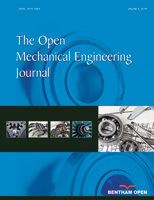 The purpose of this study is to provide a design guideline for hybrid propulsion configurations and component sizing of the traction motors.